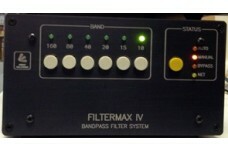 FilterMax IV replaces the FilterMax III. Fully compatible with the Bandmaster III and the EightPak and 4x8Pak. 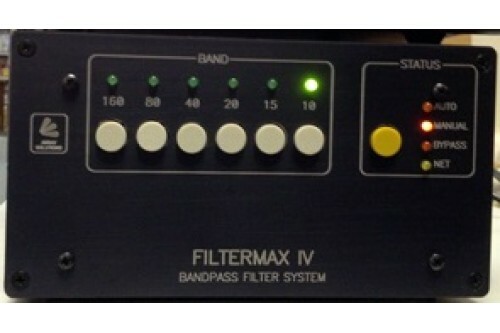 The FilterMax IV contains six high performance bandpass filters in a single package and comes standard with filters for 160, 80, 40, 20, 15 and 10 meters. 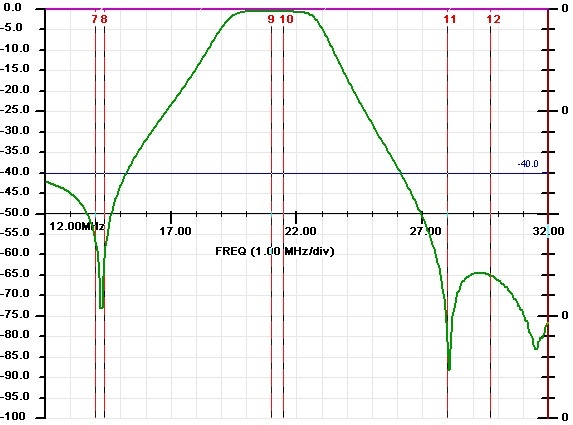 All filters are elliptical designs (Cauer) which provide over 50 dB rejection of adjacent bands (excluding WARC bands). 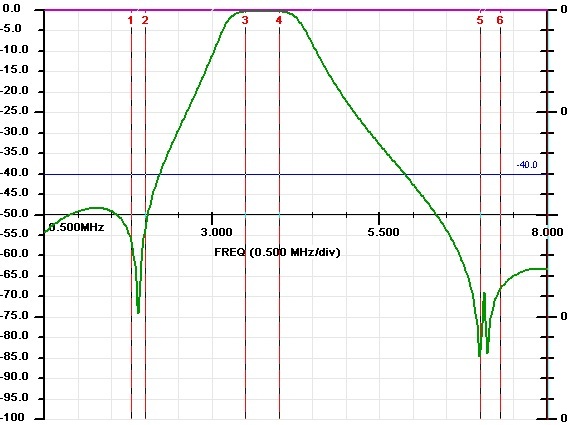 These filters are rated at 200 watts and can handle 100% duty-cycle modes, such as RTTY. These filters are designed be used between your radio and amplifier or antenna. 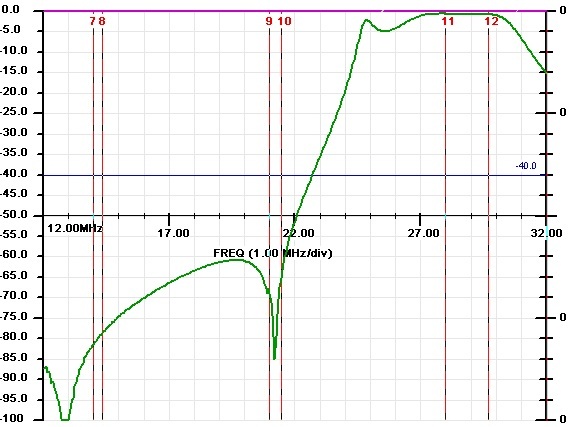 They low insertion loss (less than 0.6 dB) and low SWR (less than 1.25:1) across an entire band. The filters can be selected via front panel pushbutton switches, via our ShackLAN system or remotely by applying +12 V DC for each individual band to the rear panel control connector. Bypass mode is automatically selected when no power is applied or no filters are selected. As is standard in all ShackLAN devices, the unit is protected against reverse polarity and over-voltage. All filters in the FilterMax IV are constructed with high quality components using Micrometals toroid cores and low-dissipation, high Q TDK capacitors. While these filters are rugged, you should be aware of problems that can arise when operating the unit into a high SWR which can cause unexpected high RF voltages, even at 200 watts. 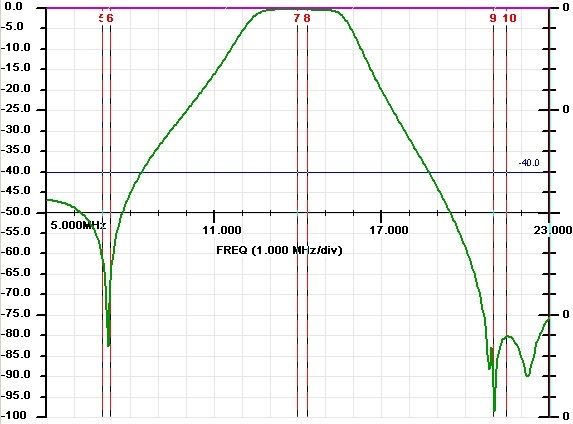 Also, the filters are designed for 50 ohms and a large departure from the design impedance can change the filter response and you may not achieve optimal band to band rejection. Be aware that the tuners built into many radios will not correct any high SWR presented to the FilterMax IV. 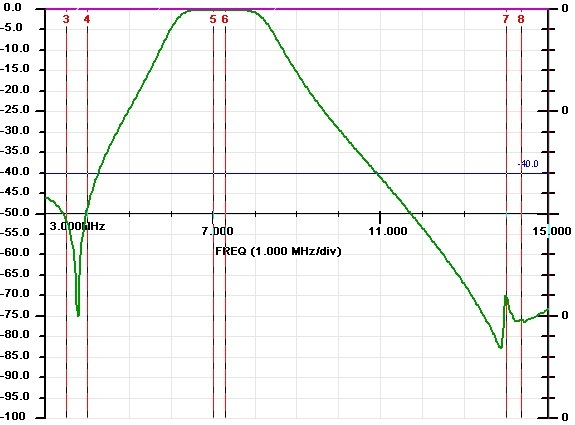 If you must operate into high SWR loads you should use an external tuner connected between the FilterMax IV and your antenna or antenna switch. Most amplifiers have a reasonable match on the input and should not normally present any problems. The FilterMax IV is packaged in a heavy duty 0.09" (0.23 mm) thick extruded aluminum case. Front and rear panels are laser engraved so the lettering will not wear off with use. RF connectors have teflon insulation and gold plated center pins. Power requirements are 12-14 V DC at 150 mA. I have uploaded a review to eham on the filter. I really like it. "I needed better protection for my radios when I upgraded to so2r contesting and Dxing. I was getting some interference between the rigs with my BandPasser filters from Array Solutions. I had heard the new Filter Max IV filters were much better and sharper. I wrote Jay and he confirmed this for me suggesting I would notice an immediate difference. The cost of the Filter Max IV is substantially higher than the BandPasser but repairs to the front end of my rigs would be more costly I realized. I ordered one of the filters in time for the CQ WPX SSB contest and tested it during the contest running HP on two rigs. It worked flawlessly. No cross band interference except on the second harmonic from the lower rig. Even then, the signal was attenuated so much that it did not overload the front end. Wow! 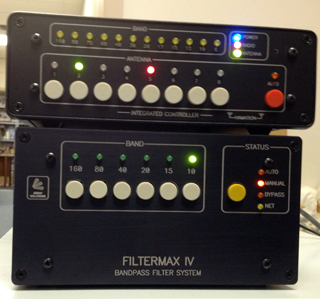 The mechanical build of the Filter Max IV is amazing - twice the size of the BandPasser at least. It is easy to use with the same front panel push buttons for band selection and is powered off my 8-Pak antenna switch. I plan to automate it in my station next. 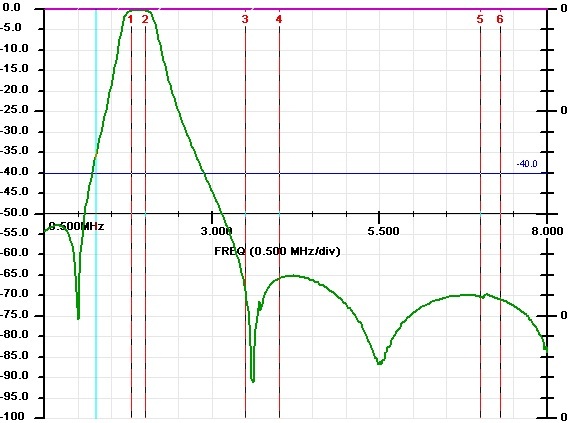 There is no doubt in my mind that the Filter Max IV is the best bandpass filter available for serious DXers and contesters who want to run two rigs simultaneously. Its build is impressive - it is big, durable and very selective. While it costs more than the BandPasser, it is bullet proof and worth the investment. " Karen was very helpful with the sale as she re-calculated shipping after the website suggested a cost that seemed high - ~ 55$. I really like the filter and plan to buy a second one this Spring or Summer. I really appreciate your selection of equipment and support for contesting and DXing. I will take you up on the offer to help me get it automated with my band decoders, etc in the near future.